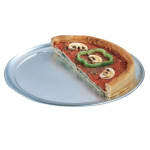 The American Metalcraft TP11 pizza pan is made of durable 18-gauge aluminum for corrosion resistance, and its standard weight simplifies lifting and transporting. To avoid thinning and softening, this should be washed by hand using detergents made for aluminum. Overall dimensions: 11 in. outer dia. x 9 in. inner dia. 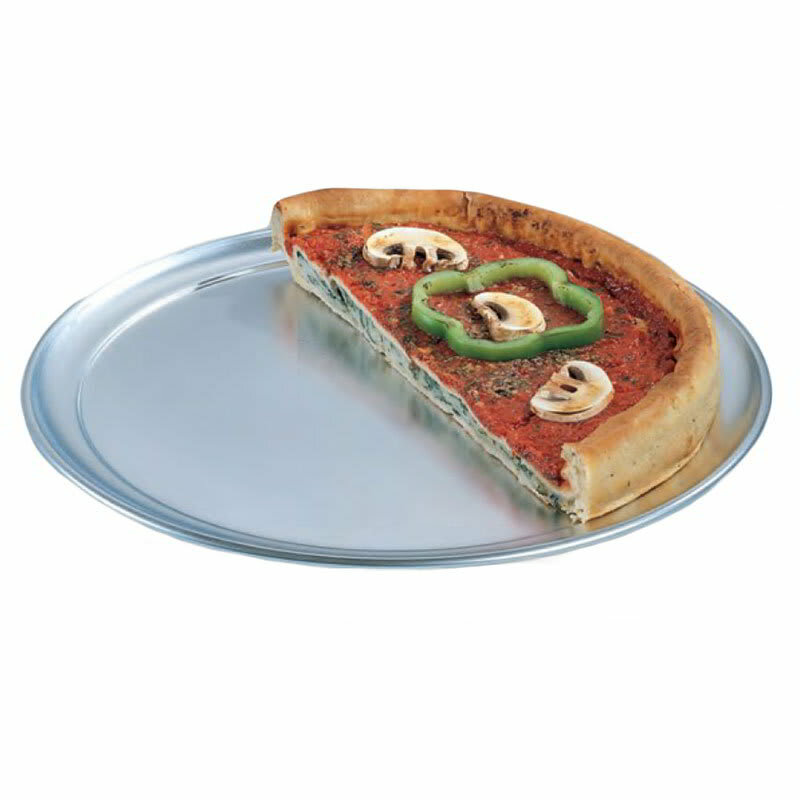 Find more information on pans in the pizza pan vs. screen explainer.